Located on a fluvial terrace of the Rangitikei River, the reserve is dominated by kahikatea, with some rimu and matai emerging over a mixed broadleaf canopy. 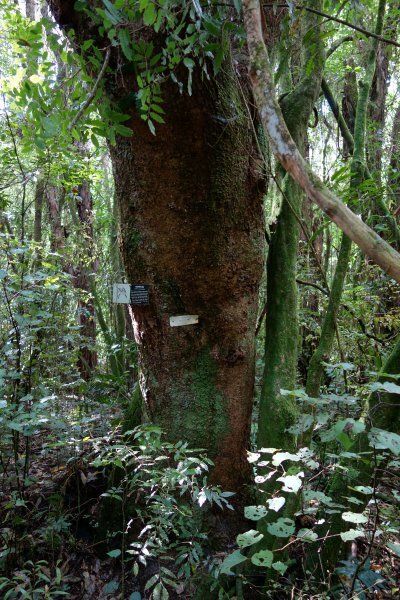 Near the entrance in an area of regenerating kanuka is a large specimen of kowahi (Smillie, 2014). Crown is biased to one side. On the yellow loop trail, near the start in a clockwise direction.